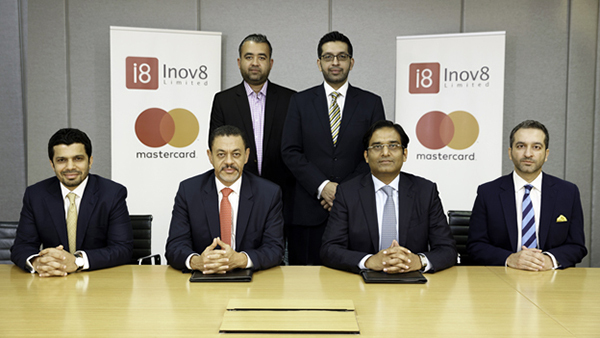 As part of the collaboration, Mastercard will power Inov8’s FalconPay platform using its digital wallet solution, Masterpass, to establish a ‘ready to integrate’ digital platform for all banks in Pakistan. This will enable the banks’ consumers to pay for in-store, online and on-the-go purchases, book movie and bus tickets, make bill payments, enjoy conveniences such as mobile airtime top-ups and much more using the FalconPay mobile application that will be linked to their bank or the bank’s wallet account. The collaboration is a testament to Mastercard’s concerted efforts to collaborate and deliver an omni-channel, all-digital payment service that benefits consumers, financial institutions and merchants. It also adds to its growing reputation of engaging with stakeholders across the globe, and furthering its vision of financial and digital inclusion for all towards a ‘World Beyond Cash’. Mastercard (NYSE: MA), www.mastercard.com, is a technology company in the global payments industry. We operate the world’s fastest payments processing network, connecting consumers, financial institutions, merchants, governments and businesses in more than 210 countries and territories. Mastercard products and solutions make everyday commerce activities – such as shopping, traveling, running a business and managing finances – easier, more secure and more efficient for everyone. Follow us on Twitter @MastercardMEA and @MastercardNews, join the discussion on the Beyond the Transaction Blog and subscribe for the latest news on theMEA Engagement Bureau. Inov8 Limited is the Region’s fastest growing mobile payments company and has grown to become a leading partner to banks and mobile operators, both locally and internationally. The company recently secured Series A Funding of $5.4 million and achieved a valuation in excess of $100 million. Inov8 is the dominant player in the Pakistan market offering next generation products designed to address all facets of the mobile based financial services and mCommerce value chains.